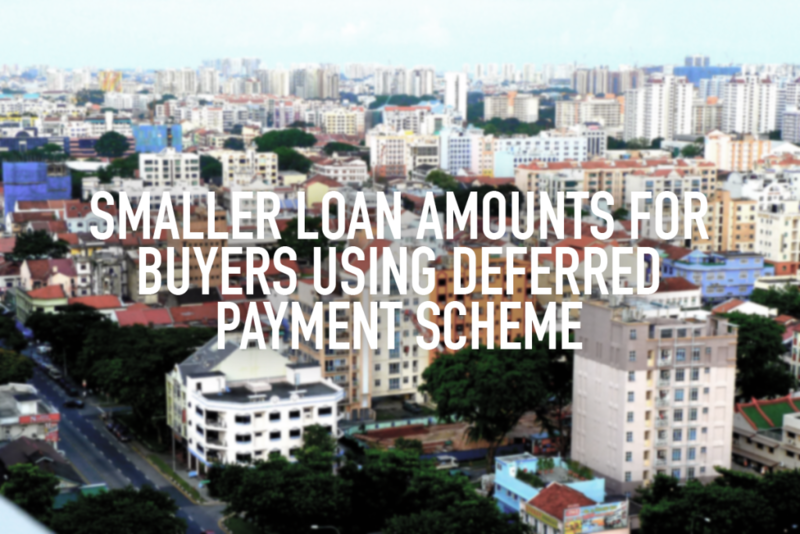 According to the Monetary Authority of Singapore (MAS), buyers of private properties who are utilising deferred payment schemes will now receive smaller loan amounts. This affects various completed projects that are offered the deferred payment scheme, such as OUE Twin Peaks. Under this scheme, buyers can move into their new homes as soon as they have made a small down payment and exercised the option to purchase. While standard protocol for buyers of completed projects is to pay the full sum within eight to 10 weeks, they can now take within one to three years to pay the rest under the deferred payment scheme, depending on rules set by the developer. This was issued as a notice to banks last week, as MAS claims that such schemes should be regarded as a form of benefit for the buyer. Hence, it should be considered when calculating a mortgage. Financial institutions will have to deduct these benefits from the purchase price to derive the amount of loan a person can take. MAS has also provided a formula for the banks. With current loan regulations, a buyer can take out a $1.6 million loan for a $2 million property (assuming loan-to-value ratio is 80 percent). However, under the deferred payment scheme, buyers can only borrow $1,587,328 (assuming 90 percent of the purchase price is deferred for a year). Additionally, MAS instructs that rental guarantees, where buyers are assured rental income by developers for a definite period of time, should also be deemed as a benefit, and be accounted for similarly while computing loan amounts.